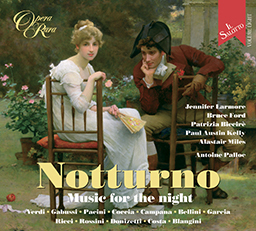 One of the most inspired of Opera Rara’s recent initiatives has been a series exploring the more intimate world of the salon (salotto, in Italian) and the music written for this most sophisticated of social environments. One of the most inspired of Opera Rara’s recent initiatives has been a series exploring the more intimate world of the salon (salotto, in Italian) and the music written for this most sophisticated of social environments. Throughout 19th-century Europe the drawing-rooms of fashionable hostesses (or occasionally, like Rossini, hosts) rang to the sound of high-quality music-making, especially when the performers, in the very best houses, were the great singers of the day. 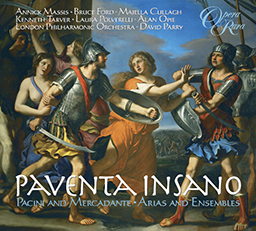 Opera Rara responds, aptly, with some of the leading bel canto singers of our day, including Diana Montague, Bruce Ford, Majella Cullagh and Barry Banks. Composers both major and minor would regularly attend such occasions, and many wrote songs, duets, trios and larger ensemble pieces especially to delight the guests. 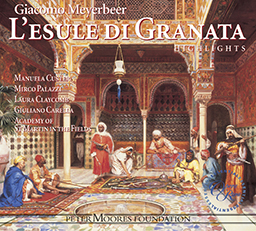 This latest selection takes its title from a setting by Ambroise Thomas, and includes his most famous song, the enchanting Le soir, as well as other examples from the pens of Mercadante, Donizetti, Offenbach and Pacini and several of their lesser-known contemporaries. And there’s a sure winner in the sextet La Galopomanie, written by Amédée de Beauplan in 1840 in response to the latest dancing craze – the gallop! Bruce Ford, Diana Montague, Barry Banks, Majella Cullagh, Mark Stone, Elizabeth Vidal, Paul Austin Kelly, Sine Bundgaard, Roland Wood. Susie Beer, cello, Richard Simpson, oboe, David Harper, piano.